Fujian Province is located on the southeast coast of China along the Taiwan Straight. It has a beautiful coastline and many tea plantations near the ocean as well as diverse inland regions that, in part, account for many of the diverse kinds of tea produced here. They produce white, green, black, oolong and scented teas. Some of the famous teas from this region are the oolongs, Tieguanyin and DaHongPao. 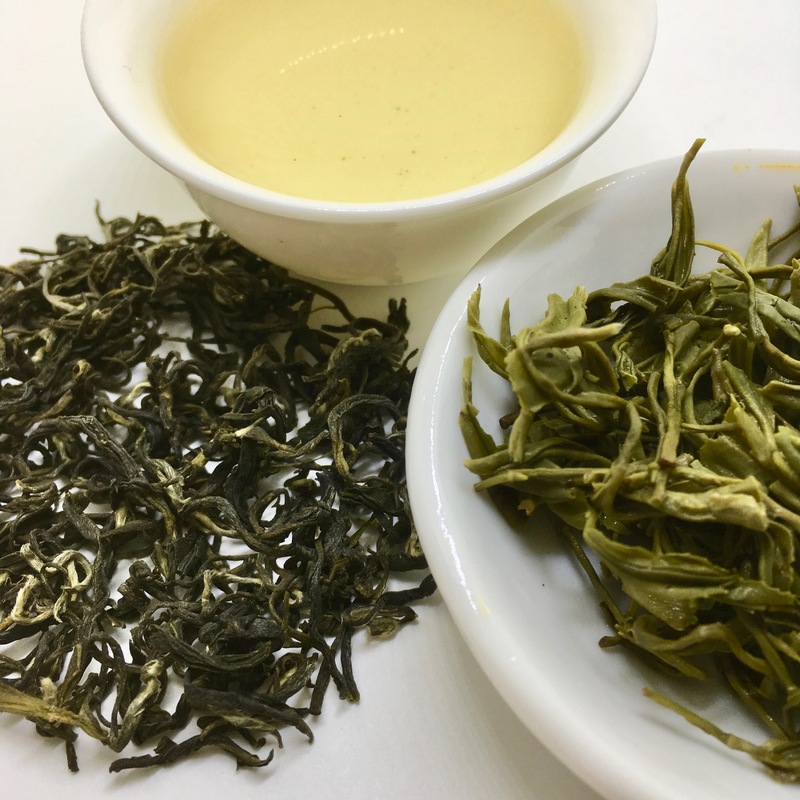 But, for Sip for Peace, we will focus on one of the more remote tea growing communities, Huangtian – Yellow Meadow. The farmers in this community have carefully groomed fields that cover the slopes from the tops of the hills surrounding their village down to the river’s edge. 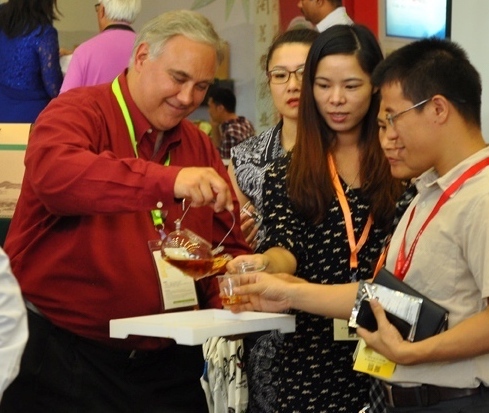 China’s Southeastern, coastal Province of Fujian has been one of the most important centers of tea production for hundreds of years. Known for its white, black, jasmine and oolong teas, it is also a major producer of domestically consumed green teas. Fujian’s ancient name is Min, taken from the name of the river that bisects the province. Fujian’s capital city of Fuzhou lies in the Northern half and about four hours by train further north is Huang Tian, or Yellow Meadow – a tea village nestled in mountainous countryside. Though they produce other crop products including bamboo, the main source of livelihood for the village is tea. Makers of superb teas for generations, some years ago, the villagers had to relocate from their original home to make way for the construction of a hydro-electric facility. The tea gardens were submerged by the higher water level. In recompense, the government gave the villagers new land, both fertile and plentiful. On it they again began cultivating tea bushes which today produce fine green tea destined for the Chinese market. Despite the increased costs and reduced production volume, much of the land under tea is farmed without use of chemical pesticides. Despite the fact that their best early spring teas annually sell out within weeks Yellow Meadow remains a simple village with limited financial resources. Attaining an official “organic” certification is financially beyond their grasp as funds are needed more to support the well-being of the villagers and for social and educational programs. In efforts to provide what assistance we can, The Tea House both donates a portion of the proceeds of the sale of Yellow Meadow tea and also makes donations toward specific projects. 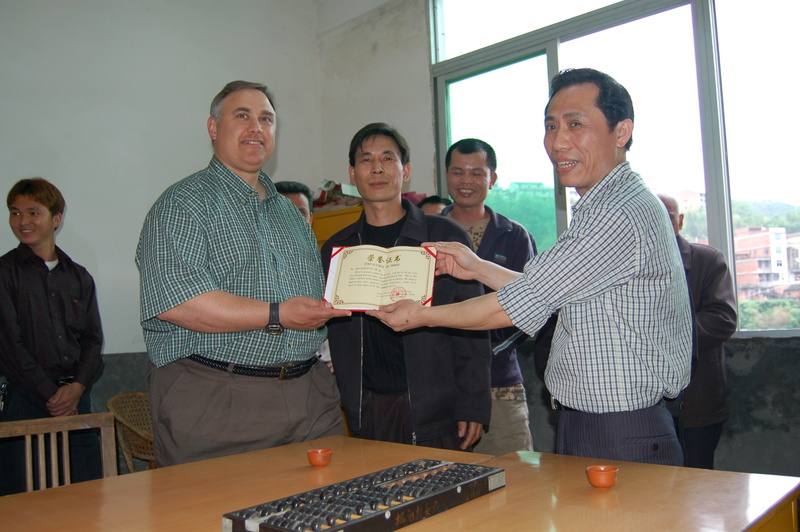 In 2006 the China Tea Tour visited the village and toured the gardens. The Tea House was proud to make a contribution toward the building of a senior citizens center for the community. We invite all those who wish to lend their support to consider adding the Yellow Meadow green tea to their offerings. Besides being a wonderful tea, you are directly helping to improve the lives of those who worked hard to make it and their families.